Do you want to go to Cruïlla but you live far from Parc del Fòrum? Did you think of driving to the festival but you’d like to have more than two beers? Do you refuse to hitchhike to preserve some sort of personal dignity? There’s no need to worry! 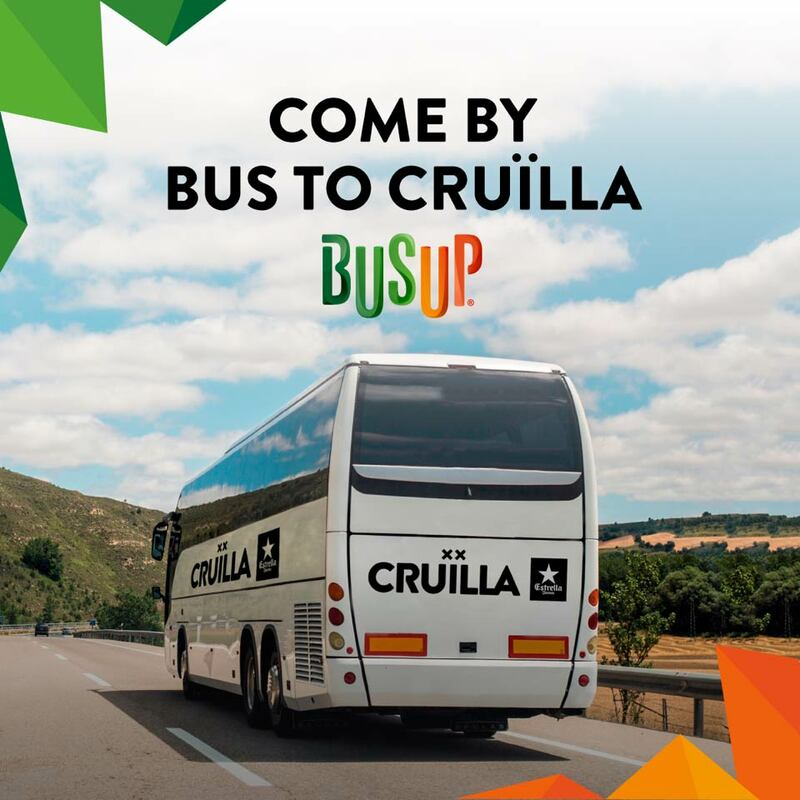 Now you have Cruïlla BusUp, an easy and comfortable way of going to the festival and back. It’s very easy: Go ahead and enter the Cruïlla & BusUp page. Take a look at the available routes and choose your favourite one. No route stopping close to you? You can suggest a new route and people will join it!